Millennium Film Journal No. 69: Deep Cuts covers a wide swath of contemporary international image-making practices, where ecological, bodily, political, and aesthetic concerns collide and commingle. It's set to be released on April 15. 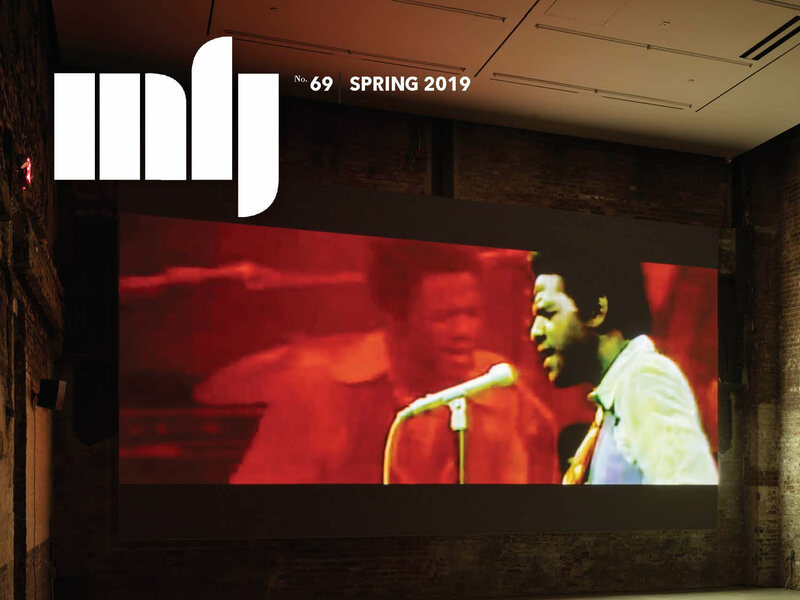 Some highlights of the issue include a review of Jodie Mack's first feature, coverage of the 2018 Flaherty Seminar, the latest from Arthur Jafa, and a visit to Pat O'Neill's studio. 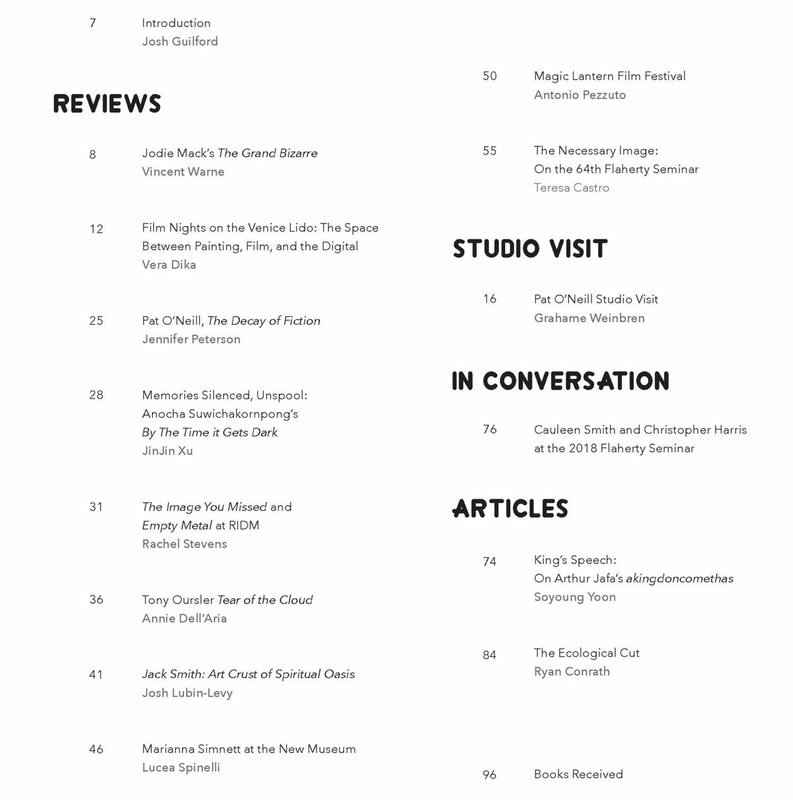 Check out the full table of contents below. Before the release on April 15, pick up a copy of issue no. 69 here at the discounted price of $10 (before shipping) with the coupon BARBARA.